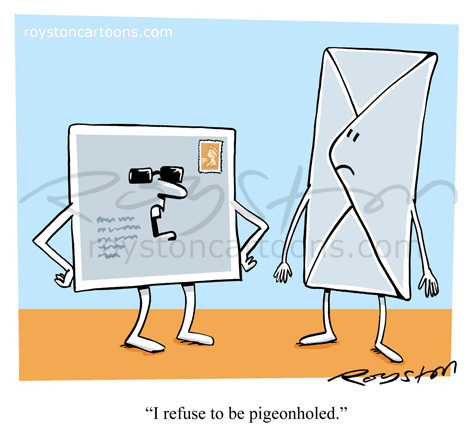 "I refuse to be pigeonholed." The February issue of Prospect magazine features an article about the Post Secret project, which this cartoon sits alongside. As usual, this was just coincidence and I had no idea they were planning that when I sent it in. This kind of thing has happened before and I wish it happened more often. Here's a blog post I wrote a while back on the talking-object cartoon. I don't do that many, I think some mags are probably not keen on them, but they are fun to draw. 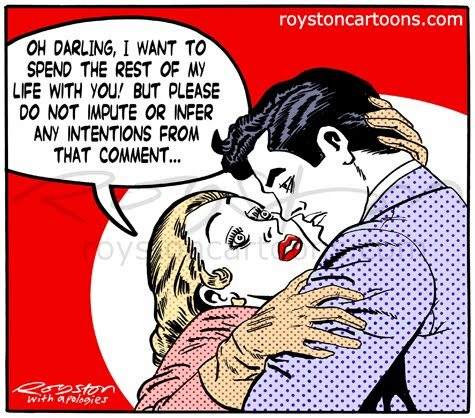 This cartoon, which pastiches the work of the pop artist Roy Lichtenstein, which was itself a pastiche of comic art, recently accompanied an article in a law magazine. Yes, I was lost too! 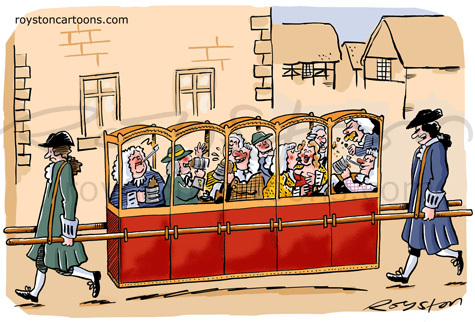 But I think I got enough of a gist of the topic to come up with the right cartoon. A law firm has just bought a colour print of it, so I suppose I must have. "I'm just going outside ... you can follow me on Twitter." 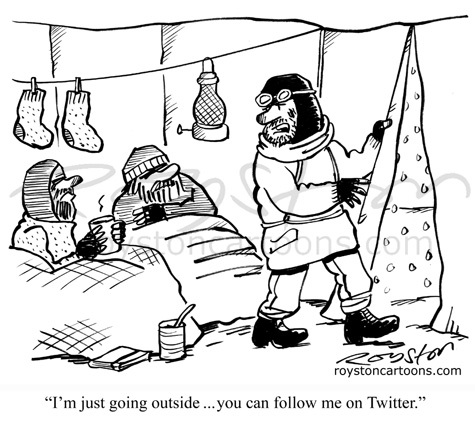 It's exactly 100 years since Robert Falcon Scott led his men on their ill-fated expedition to the South Pole. It's a story of British heroism and bravery in the face of terrible odds, and subject matter for many flippant and disrespectful jokes ever since. "I hope you're not planning on flying close to the sun?" 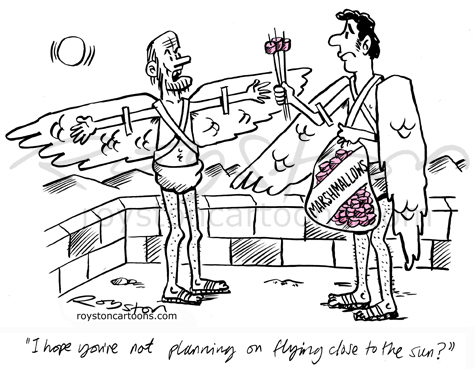 This week I submitted cartoons for exhibition at the 2012 Shrewsbury Cartoon Festival, the theme of which is "Flying". This is one of them. Festival events take place through April and May. 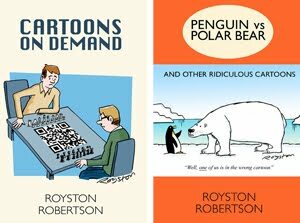 The main weekend of free activities, now known as Cartoonists Live, which includes live drawing, workshops, talks and caricaturing, takes place from April 20-22. Visit the website for more. Some context: CPD stands for continuing professional development. 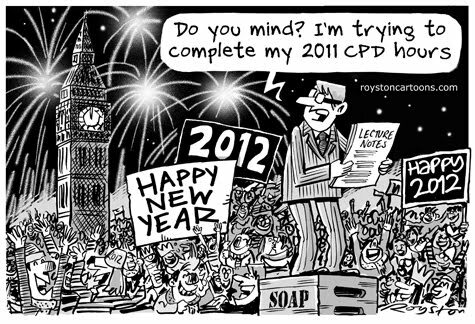 Lawyers, and other professions, have to do a certain number of CPD hours in a year, and giving lectures counts towards them, as does attending conferences, getting articles published etc. It was continuing professional development for me too: I don't think I've used Photoshop effects to draw fireworks before, and they came out pretty well, I think.